Mother to Mother (SHIONOGI Project) | CSR Efforts | About Shionogi | Shionogi & Co., Ltd.
Shionogi’s fundamental philosophy is dedicated to protect the health and wellbeing of people. The vision of “Mother to Mother SHIONOGI Project” embodies the corporate philosophy to support the health and develop sustainable community for the wellbeing of mothers and children. The concept of Mother to Mother SHIONOGI Project derives from the vision to support vitality of mothers and children globally. In Africa, the lack of quality and accessible healthcare, complications during pregnancy and unsafe birth settings have resulted in one of the world’s highest maternal mortality rate, approximately 77 times higher than Japan*. 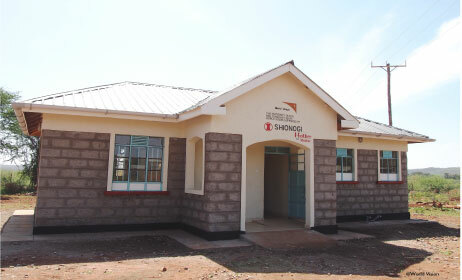 Mother to Mother SHIONOGI project in collaboration with World Vision (NGO) is committed to improve effective healthcare for mothers and children in Kenya. 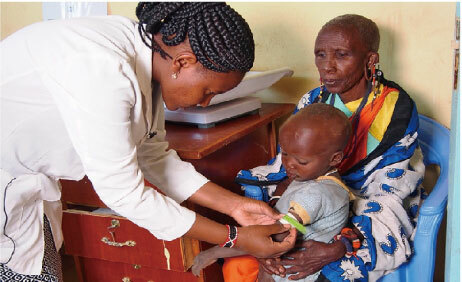 While the multivitamin Popon® series helps to support the health of mothers in Japan, a portion of the sales and the donations from Shionogi employees (Shionogi Social Contribution and Support Association), are donated to help support the health of mothers and children in Kenya. *Retrieved from WHO, “Trends in Maternal Mortality: 1990 to 2013”. 14,612 people, which includes 2440 children under 5 years old and 3,507 reproductive-age women. Various health indicators show that maternal and child health in the project location, Ilaramatak is lower than the entire country’s average. 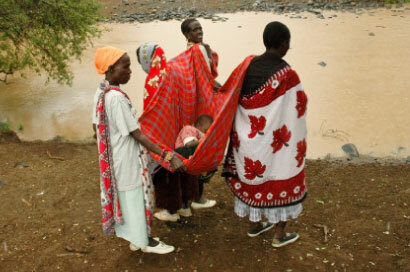 Picture of a child being carried by his family to hospital in a cloth. Lack of capacity and quality healthcare. Lack of structure and management of community health workers and hospital. 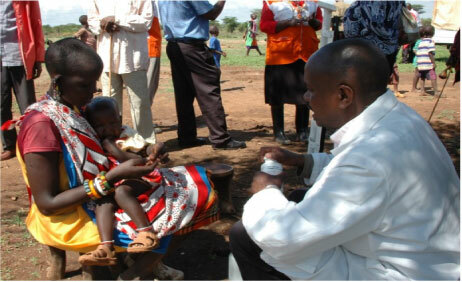 Lack of training and skills of community health workers. Lack of understanding about the importance of health among local residents. In collaboration with World Vision Japan, International NGO. 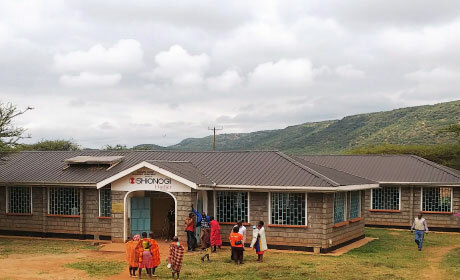 Mother to Mother SHIONGI project aims to foster self-sustainability and contribute to the reduction of maternal and child mortality by increasing access to healthcare, improving quality of healthcare, providing education and advocacy activities. 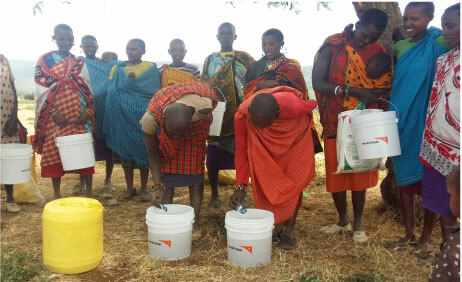 The project is implemented by International NGO, World Vision and funded from the portion of the sales from Popon® series and donation from Shionogi employees. 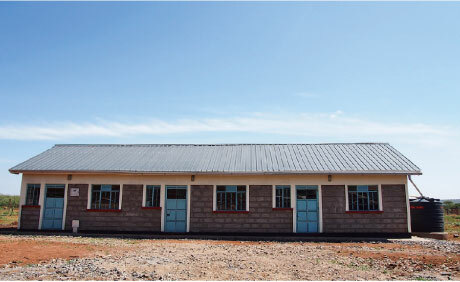 Construction of healthcare facilities and mobile clinic to improve uptake of maternal and child health services. Provide education and trainings to community health workers on nutrition, water treatment, health and hygiene issues in the community. To ensure sustainability, the project train village and health facility committees on management of health services and support income generating activities. 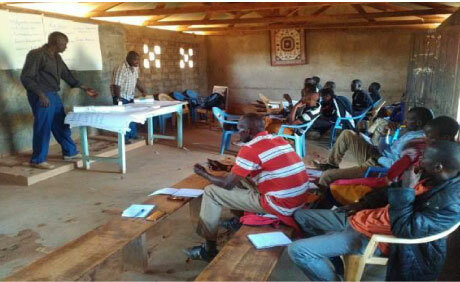 Trainings and education for community health workers about health and hygiene. 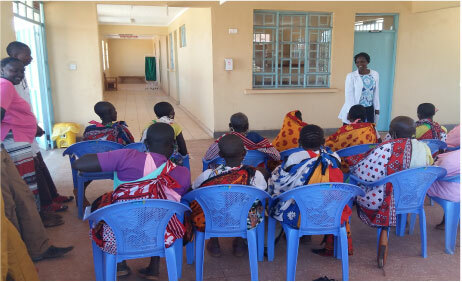 Community health workers educating mother to mother support group on water hygiene and treatment. Advocacy activities and education to the community about the importance of healthcare services and deliveries in hospitals by healthcare professionals. Mother to Mother support group was established to enhance peer education. Health and hygiene education conducted in health facility to Mother to Mother support group to enhance peer education on maternal, newborn, and child health (MNCH). After receiving education, more people in the community became more active and involved during the engagement of the project. 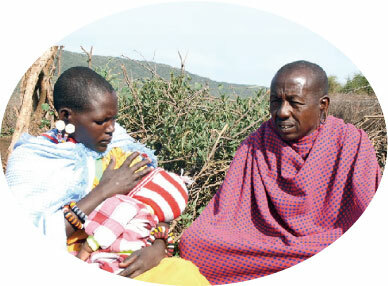 In addtion, more men in the community understand the importance of giving birth at health facility and take their wives to the health facility to be assisted by a skilled birth attendant.